Plastic bags, wraps, and films can’t be recycled in your curbside recycling bins. But, you can take some of these items to local retail stores where they collect plastic grocery bags for recycling. Any package that you see with the How2Recycle Store Drop-Off label can be recycled this way. What can be recycled through Store Drop-Off? Certain flexible plastic packages can be recycled through Store Drop-Off locations. 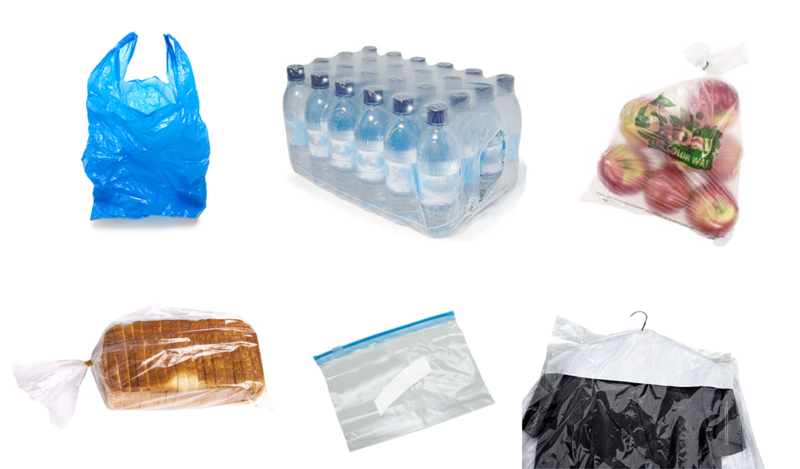 Look for the How2Recycle Store Drop-Off label on flexible plastics made of high-density polyethylene (HDPE) and low-density polyethylene (LDPE), including grocery and produce bags, bread bags, some plastic wraps, some plastic mailers, some cereal bags, and more. Download a helpful poster about what's accepted Store Drop-off here. Most plastic bags, like grocery bags, produce bags, newspaper bags, zipper sandwich bags, and some cereal bags can be recycled through Store Drop-Off. Most stretchy plastic wraps, like the wrap around multi-packs of drink bottles, paper towels, or diapers can be recycled through Store Drop-Off. These plastic pouches and air pillows carry the How2Recycle label and can be recycled at Store Drop-Off. Where can I bring my Store Drop-Off packages? Many How2Recycle retail members have Store Drop-Off collection bins in their stores, including Target, Walmart, Lidl, and Wegmans! Wherever you see a plastic bag recycling bin in retail stores, you can also recycle your bags, wraps, and films. You do not need to take these items back to the same place where you bought them. Even if you purchased the packages online, you can still take them to any retail store with a plastic bag recycling bin. Find a Store Drop-Off location near you. Why can’t I put bags in my curbside recycling bin? Unless you live in one of the few communities in the U.S. that accepts plastic bags, wraps, and films in curbside recycling, you must take your them to the store for recycling, no matter what the claims on the package may suggest. These bags, wraps, and films get tangled up in the equipment in facilities that serve curbside recycling programs, causing problems for recyclers. After this, they are landfilled. Make sure flexible packages don’t make their way into your curbside recycling bin! They undergo a special recycling process through Store Drop-off. What isn't recyclable through Store Drop-Off? If you don't see the item listed above and you don't see the How2Recycle label, don't include it in Store Drop-Off recycling to make sure you aren't contaminating the bin. What does “Recycle if Clean & Dry” mean? Plastic bags, wraps, and films need to be clean and dry when you drop them off them at the store. This means no crumbs, no food residue, and no liquid inside them. You don’t need to rinse out and air-dry each and every bag, but if there are crumbs, shake them out. If the bag is damp, let the water evaporate before stuffing it into the bin. And if there’s a lot of food residue that doesn’t come off easily, it may be best to not recycle it. What does “Remove Paper Label Before Recycling” mean? Most plastic mailers have paper shipping labels on them, and some other wraps and bags have paper labels as well. Paper labels are detrimental to the Store Drop-off recycling process. You can help by peeling off any paper labels before taking your bag to the Store Drop-Off location. If the labels don’t peel off easily, you can cut them off with scissors. What about the recycling numbers? Some communities use Resin Identification Codes, often misidentified as “recycling numbers,” to communicate what types of plastic they will accept. For example, flexible plastic packages with #2 or #4 are usually good to go in the Store Drop-off bin. But these numbers don’t always tell the full story about recycling. Even if your community says they accept “#2 and #4 plastics” in curbside bins, although it’s confusing, they are referring to rigid plastics like bottles and jugs. You should not try to recycle your bags, wraps, and films curbside. 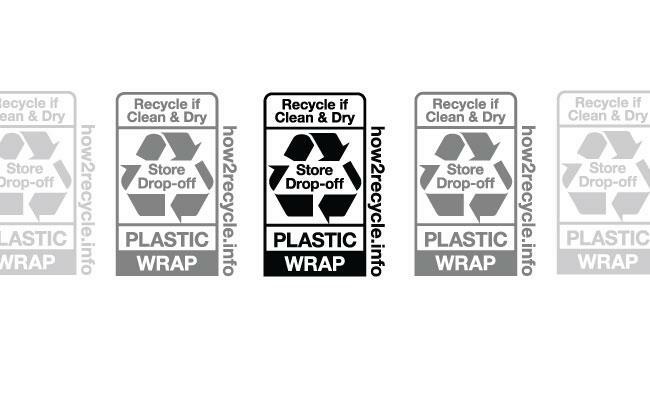 If you see the How2Recycle Store Drop-Off label on a package, you know that How2Recycle has confirmed the package can be recycled through Store Drop-off. What happens to these bags and wraps after they’re recycled? After they’re collected at a Store Drop-Off location, your bags, wraps, and films might get recycled into synthetic lumber for decking or park benches, or they might be recycled directly into another bag. 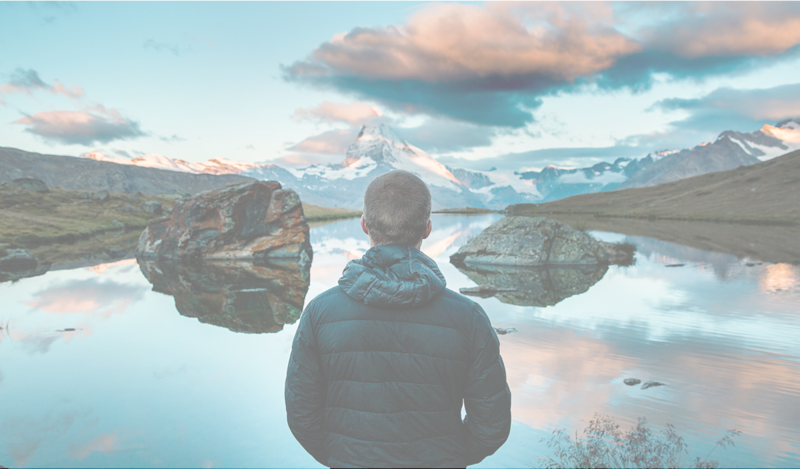 How2Recycle is partnered with American Chemistry Council's Flexible Film Recycling Group, who works to enhance the recycling of polyethylene film in the United States. One initiative led by the Flexible Film Recycling Group is the Wrap Recycling Action Program (WRAP). WRAP expands public awareness about plastic film recycling in specific communities, and works to improve the quality and quantity of Store Drop-off locations nationwide. How2Recycle is happy to join in this effort.